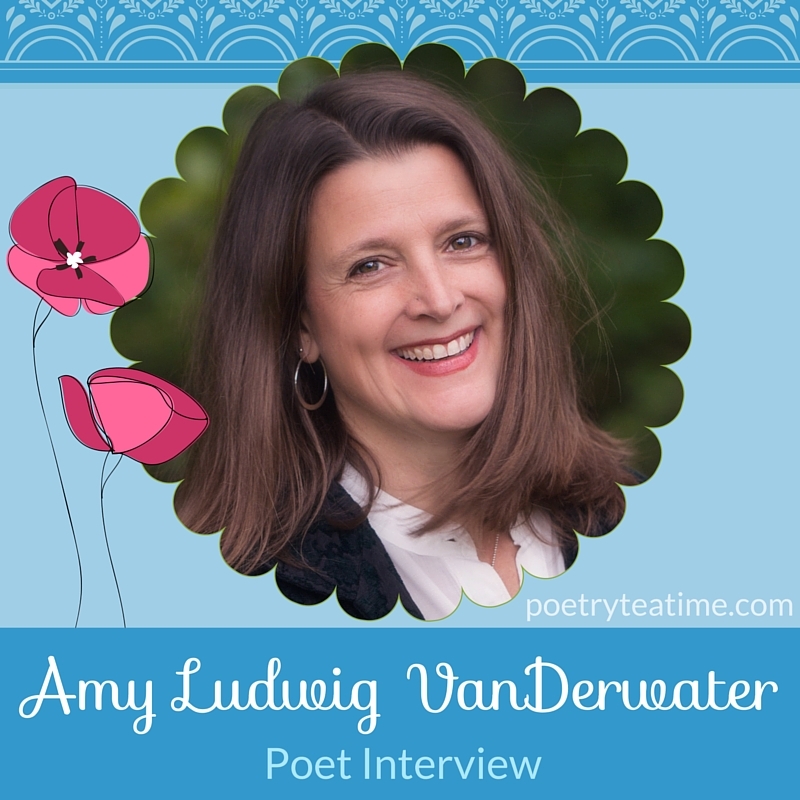 Join us in welcoming Amy Ludwig VanDerwater to the Poetry Teatime blog! 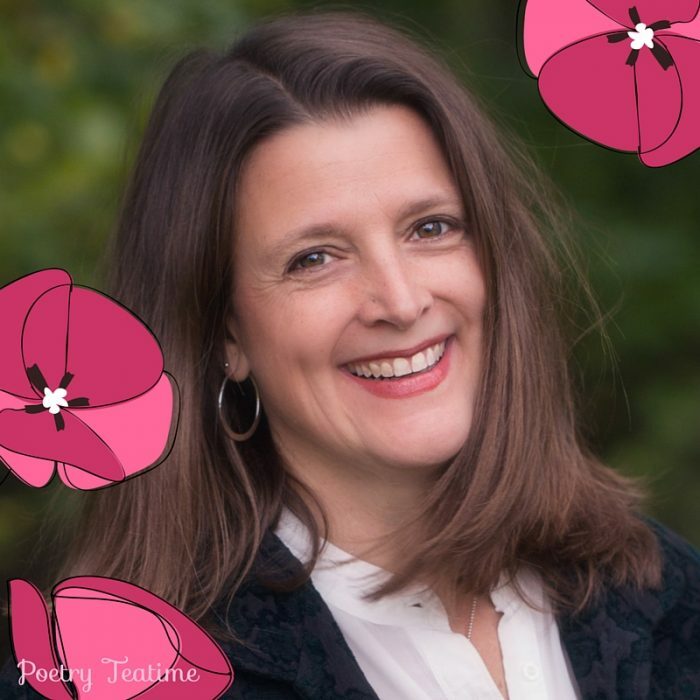 Amy is an award-winning children’s poet and author, teacher, and active blogger. Enjoy the written interview and Julie's podcast with her below! Amy’s first book, Forest Has a Song, has received many praises, including the Lee Bennett Hopkins Poetry Award. Amy also recently released her new book, Every Day Birds. Welcome, Amy! Let’s start off with a big-picture question. You've said that “children are walking poems.” What do you mean by that? What’s the benefit of reading poetry with children? Twenty-five years ago, Wes Kennison, my English professor, told our poetry class, “If you want to really see the woods, take a child with you. The child will help you see.” Pablo Picasso once said, “It took me four years to paint like Raphael, but a lifetime to paint like a child.” Children (when not overtaken by video games and TV) have a free and fresh way of seeing and being. One teacher told me about a three-year-old Montessori preschool student holding up her woolly snowy mitten, “Look! Snow bugs!” I would like to see bits of snow as “snow bugs.” I try to find the child-in-me when I write. You live on a farm in New York. How has living so close to nature helped you write poetry? How does nature play a role in your research and writing? Our land was once a small dairy farm, and now we have a bit of pasture land and a lot of woods. Spending time outside helps me appreciate the sounds, smells, and sights of our real breathtaking world. The more we do, the more we see…the more we have to write about. When you aren’t busy writing poetry, you also work as a writing teacher. Do you have a “toolbox” for reading challenging poetry? If so, what’s a “tool” you would suggest to families and kids who want to read more complicated poetry but keep getting confused or stuck? Reread. And talk about poems together. I would also not recommend diving into difficult poems before a child loves poetry. We can first help our students find value and take joy in this genre. Books are full of beautiful and accessible poems; reading and writing poetry need not feel like climbing an impossible mountain. Share your favorite poems with your child, and help your child discover his or her own. Consider keeping a handwritten book of family favorites. This will give your child a lifelong love of poems and words. What’s one of the most helpful pieces of advice you received from your mentor, the acclaimed children’s poet Lee Bennett Hopkins? Revise. Revise. Revise. Listen to good advice, and bring that advice with you to the next poem. Lose extra words such as and and the – these often clutter up a line. Your new book, Every Day Birds, was published February, 2016. What would you like readers to take away from it? If I can learn about birds, anyone can. Thanks to my husband, I became interested in birds as an adult. Now I love to look out my study window at all of the goldfinches, or out the living room window at so many downy woodpeckers and chickadees. Knowing about a few local birds will heighten the quality of anyone’s daily walks and encounters. Check out All About Birds for all kinds of information and resources. Thank you so much for having me here at Brave Writer. I welcome you to The Poem Farm anytime! Listen to our podcast with Amy! To hear more from Amy, check out her two blogs, The Poem Farm and Sharing Our Notebooks.